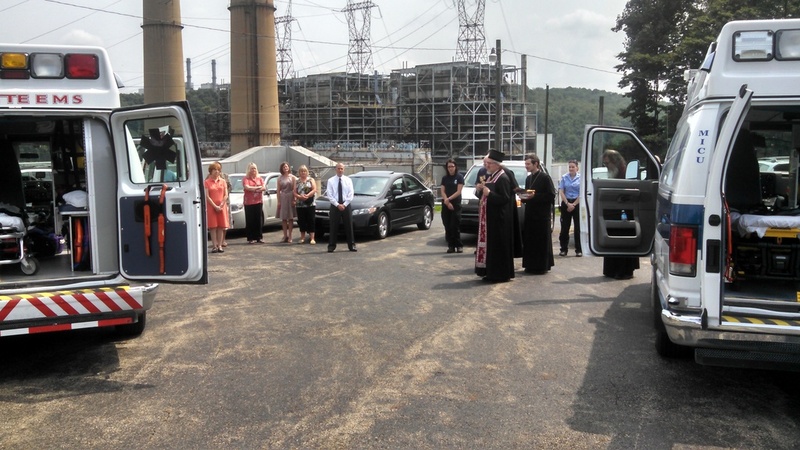 Carmichaels, PA - The Eighth Annual Healthcare Seminar was held at the St. George Serbian Orthodox Church in Carmichaels, Pennsylvania with the presence and Archpastoral Blessing of His Grace Bishop Dr.MITROPHAN, Bishop of Eastern America. The day began with the Divine Liturgy. 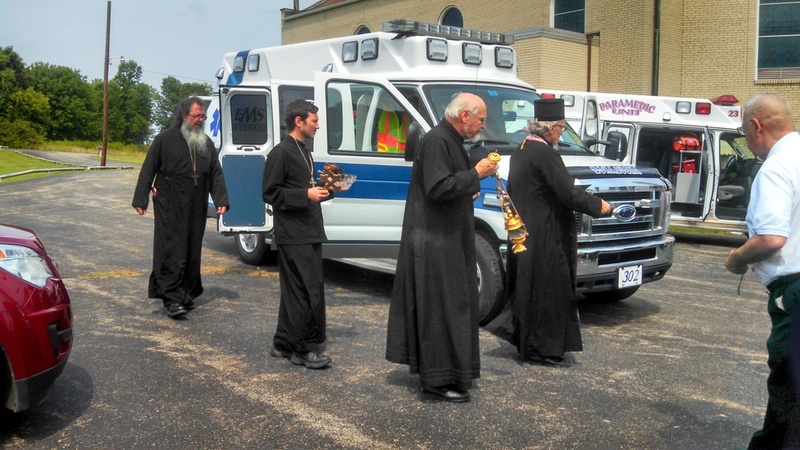 His Grace officiated at the Divine Liturgy and for the blessing of the festal bread and memorial wheat. Sonia Janson, St. George Choir Director led the responses. Kuma for the Healthcare Day Slava was Paulette Radock. Paulette Radock worked as a nurse in a major hospital in intensive care for more than four decades. She spoke about the value of prayer in her work and personal life. St. George Serbian Orthodox Church Executive Board President Stan Brozik welcomed and thanked the seminar participants. The luncheon was prepared by the St. George Circle of Serbian Sisters. 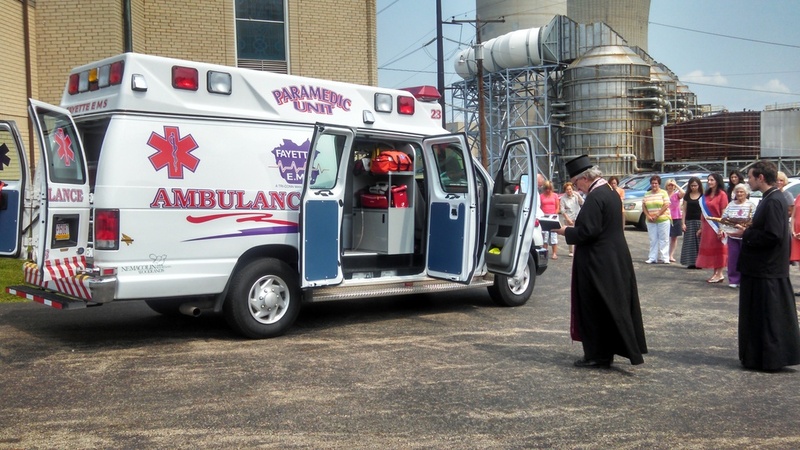 His Grace Bishop Dr. MITROPHAN blessed the Fayette EMS and Southwest EMS ambulances. Both ambulance services were recognized for their important work throughout the year. Director Rick Adobato sent Fayette EMS ambulance staff members Angela Hall and Chris Briden. Southwest EMS sent ambulance staff Nessa Thompson and Rich Blaker. In addition to His Grace and the seminar speakers, attendees included visiting clergy, nurses including a nurse educator, a school social worker, a public school educator , an educator in the West Virginia Air National Guard and interested parishioners. His Grace Bishop Dr. MITROPHAN regularly participates in the seminars strengthening and improving them with Episcopal insights. In this seminar, His Grace emphasized the value of prayer in dealing with stress. The seminar concluded with an Akathist to St.Panteleimon.